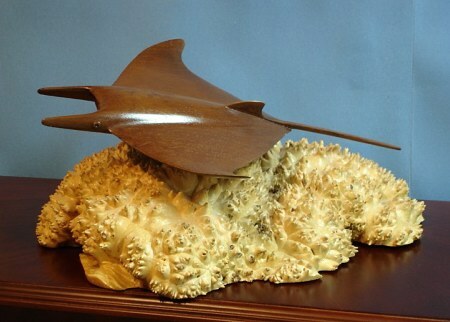 The original for the Manta Ray was hand carved from a single piece of Walnut wood by artist Randy Groves. 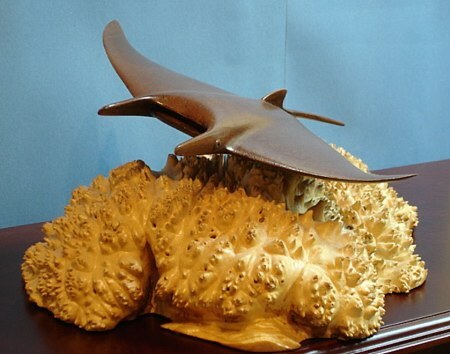 The original was used to create a mold and a limited edition was cast in either bonded Pecan wood or cold cast Bronze. E Unfortunately, the bronze manta is no longer available. Each sculpture has been signed and numbered by the artist under one wing. 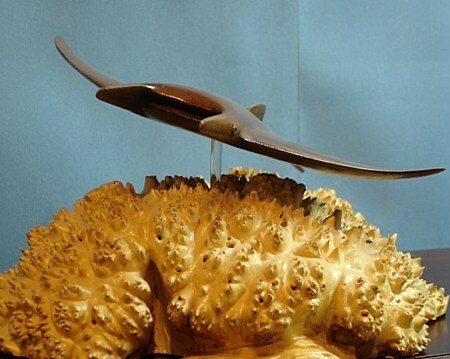 Each Manta Ray is mounted on a Maple burl, every one of of which is unique. . The Manta Ray itself is 10" wide by 14" long. The bases vary in size as they are a naturally occurring growth.